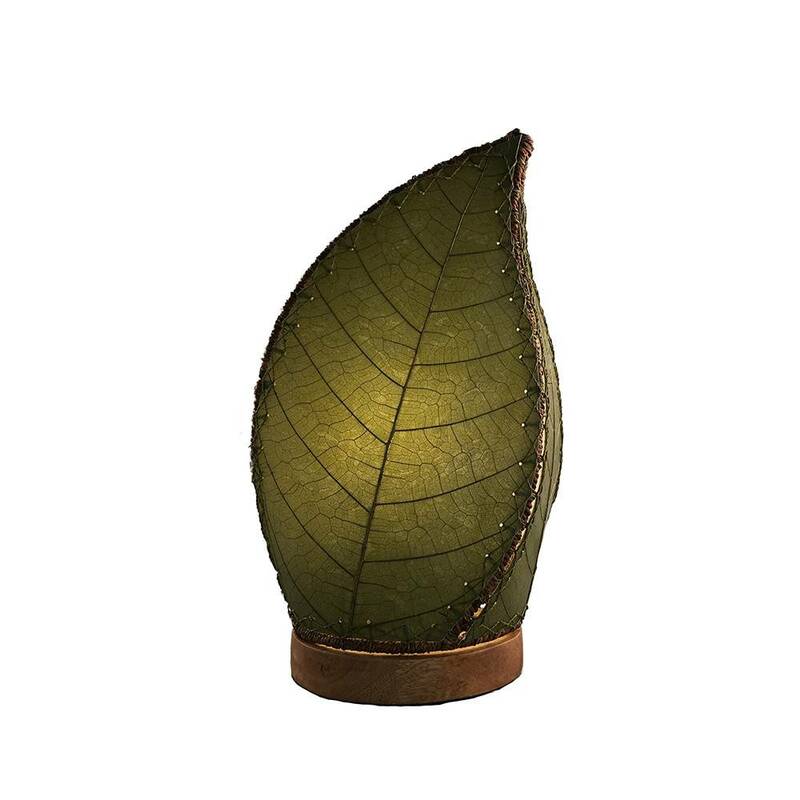 Features large fossilized cocoa leaves that are handplaced on a standard UL lamp backing and then laminated, creating two sides of the lamp. The third side is finished with a hand woven abaca mesh. 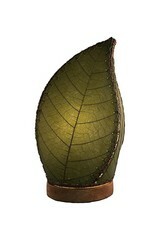 The panels are handstitched onto a powder coated, wrought iron frame to form a leaf design which sets on a driftwood base.